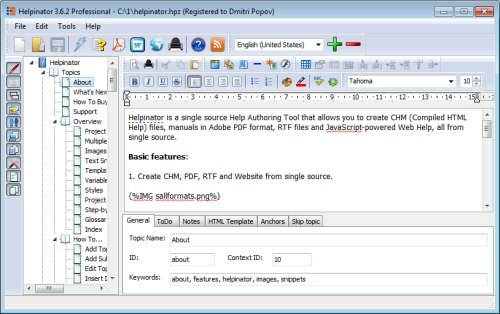 Helpinator is a single-source help authoring tool. It allows you to create help and manuals in different formats from single source. You write text in WYSISYG editor with styles and spellchecker, then click one button and documentation in a desired format is ready to go! 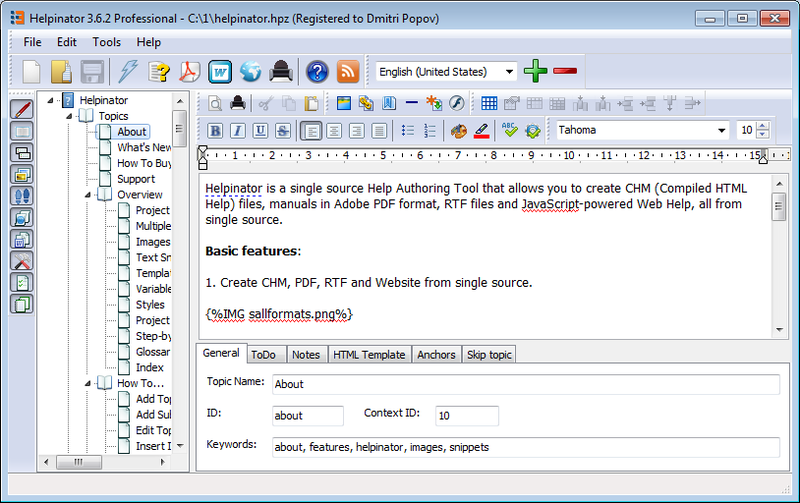 Helpinator allows you to make CHM help files using WYSIWYG editor and HTML templates. You can create PDF files with front page, table of contents, outline, glossary, index and hyperlinks from the same source. Web Help is based on jQuery and features contents, index, full-text search. Printed manuals have the same features as PDF but Helpinator sends them to the printer directly. Special offer: Major Mind software offers 30% discounts for TRichView customers!